As his last name suggests, Burt Jenner is one of the children born to retired Olympic decathlete Caitlyn Jenner and his first wife Chrystie Crownover. Beyond that, he is a professional truck and car racer, a career he picked interest in after going to watch a kart race with his father when he was still a little kid. Burt is currently associated with Gladiator Tires. Being a member of the extensive Jenner family puts Burt in the limelight and while he is yet to attain the level of fame his step and half-siblings command in the showbiz industry, he has made a few appearances in the American television series, Keeping Up with the Kardashians, as well as I Am Cait. Burt Jenner is also popular on social media and runs a YouTube channel with over a million views. He was born on September 6, 1978, and named after his demised uncle following his birth in Los Angeles, California. Burt grew up under the spotlight with his younger sister Cassandra Jenner. The fame that surrounded them right from childhood is as a result of their parent’s profession – while their mother was a popular actress, their father lifted the golden trophy at the 1976 Olympics decathlon event and what’s more, the Olympic gold medalist later came out as a transgender woman. Interestingly, his folks’ lifestyle did little to influence Burt’s career choice. He opted for one in racing after going to watch a kart racing event with his father when he was eight years old. However, that interest must have dwindled as it doesn’t look like he went far with his career in the sport but he did go through with his educational pursuit. He attended Malibu High School after which he proceeded to Santa Monica College located in California. After college, he briefly worked for Allegiance Telecom, Inc. but later became an entrepreneur. 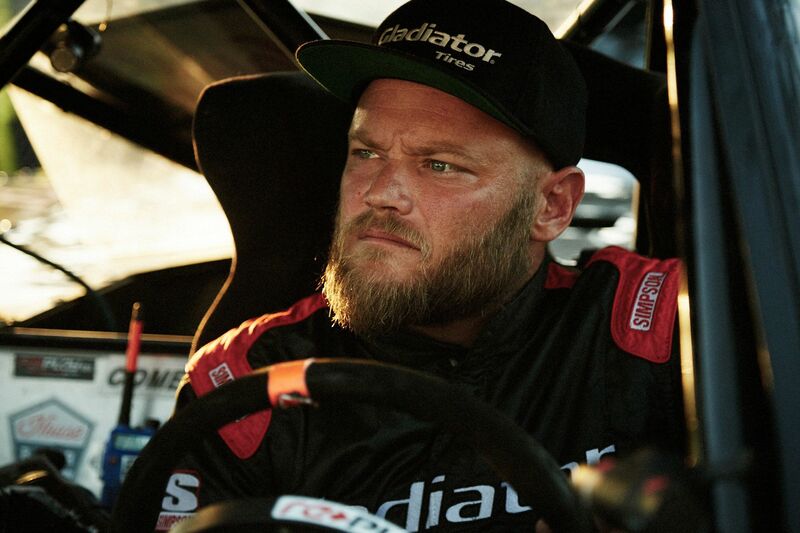 In addition to his stint as a competitive car and truck race driver, Burt Jenner pioneered a few business ideas. The canine daycare, boarding, and grooming center, known as West LA Dogs is his brainchild. He started the business in September 2005 in West Los Angeles. The center comes complete with both indoor and outdoor spots, spanning across 14,000 square feet. A year after West LA Dogs took off, Burt came up with another business venture, a sign placement company dubbed Sign Dudes. The successful businessman has a website where he shares details of his race car driving. Burt Jenner has a younger half-sibling who is a billionaire and his father is worth as much as a hundred million dollars while the rest of his extended family members also have attractive sums in estimated net worth. Notwithstanding, Burt’s personal worth is not public knowledge. He, however, seems to be comfortable and excelling in his numerous business ventures and racing career. Burt has only one sibling from his parents and her name is Cassandra Jenner. Nonetheless, he acquired a lot more through his father’s relationships with other women. Caitlyn’s second marriage to Linda Thompson gave Burt two half-brothers Brandon and Sam Brody Jenner and more came on board following his marriage to Kris Kardashian which produced two daughters Kendall, and Kylie Jenner. Through Kris, Burt has family ties with Kourtney, Kim, Khloe and Rob Kardashian as step-sisters and step-brother. Read Also: Scotty Kilmer Bio, Age, Wife, Net Worth, Is He Dead? 1. Burt and his longtime girlfriend Valerie Pitalo welcomed their first child on July 7, 2016. The baby, a boy named William Behr Jenner is Caitlyn’s 7th grandchild. He’s made a lot of appearances on his father’s Instagram page. 2. What really inspired his West LA Dogs business venture is his obsession with dogs as seen on his Instagram account. 3. His uncle Burt was killed in a car accident just a few days before he was born, thus, he was named after him. 4. His social media presence cuts across Facebook, Twitter, and Instagram. He equally runs a self-titled YouTube channel, wherein videos of his stunts on bikes and with cars can be found. The channel which was launched on October 11, 2006, also has rare videos of Burt’s father gunning for the gold medal at the 1976 Summer Olympics – Men’s Decathlon.